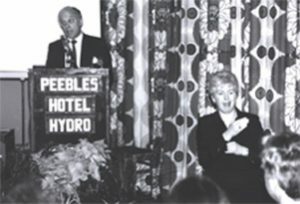 Mary Brennan interpreting for Stewart Simpson, CACDP Director at Scottish Association for the Deaf’s Conference at Peebles Hydro Hotel in 1988. Photo of the members and guests attending the Scottish Association for the Deaf’s 44th AGM in Kilmarnock in 1972. 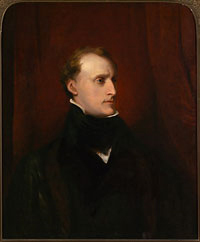 Portrait of Francis Humberstone Mackenzie, the deaf and dumb 1st Baron of Seaforth, painted by Thomas Lawrence. Lawrence’s sitter for this portrait is believed to be Francis MacKenzie Humberston, Baron Seaforth and MacKenzie (1754-1815), descendent of the old Scottish earls of Seaforth and clan chief of the MacKenzies. The title became extinct in 1715 when the estates were forfeited to the crown after the 5th earl took up arms in support of the Old Pretender (the son of James II). Estates and titles were reinstated later in the century to a cousin of the 5th earl. Seaforth raised many Highland regiments in the service of the government and was appointed Governor of Barbados in 1800. It may have been that the portrait was commissioned in order to commemorate this occasion. Seaforth knew Lawrence as a struggling artist in 1796, and must have sensed his future success when, in that year, he lent him £1000, an extraordinary sum of money in those times. Among the many offices of importance and trust he held may be mentioned those of chairman of the Glasgow Chamber of Commerce, director of the Ferguson Bequest Fund, director of the Merchants’ House, chairman of the directors of the Glasgow Royal Exchange, chairman of the National Bible Society of Scotland, and chairman of the Glasgow Deaf and Dumb Institution. Five years after L’Épée had opened his school, the first deaf school was opened in Britain by Thomas Braidwood (1715-1806). 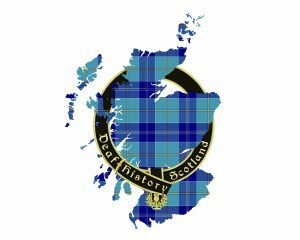 The school was in Edinburgh and in 1760 initially accepted one deaf pupil. Braidwood’s success in teaching speech to this boy led to numbers increasing to twenty pupils by 1780. His approach, due to the use of natural gesture, was known as ‘combined’ rather than being the pure oralism used elsewhere in Germany and most parts of Europe. Many visitors were impressed by the school and Braidwood’s reputation was widespread. The Braidwood family in many ways represented deaf education for nearly half a century, however Thomas Braidwood was keen to keep his precise teaching methods secret, allegedly to avoid competition. The school in Edinburgh was eventually closed and Braidwood opened a new school in London in 1783. 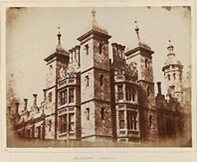 This school became known as Old Kent Road Asylum for the Deaf and Dumb, with Braidwood’s nephew, Watson becoming the new Head. Three years after Thomas Braidwood’s death, Watson, published a book ‘Instruction of the Deaf and Dumb’(1809) which described their methods of education. 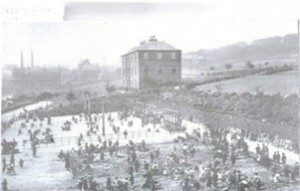 Dudhope Bank, in the centre of this 1908 view, was built in the 1870s as the Dundee Institution for the Education of the Deaf. 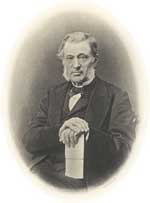 It was funded by Mr Alexander Drysdale, who had worked with the organisation since its foundation in the 1840s.